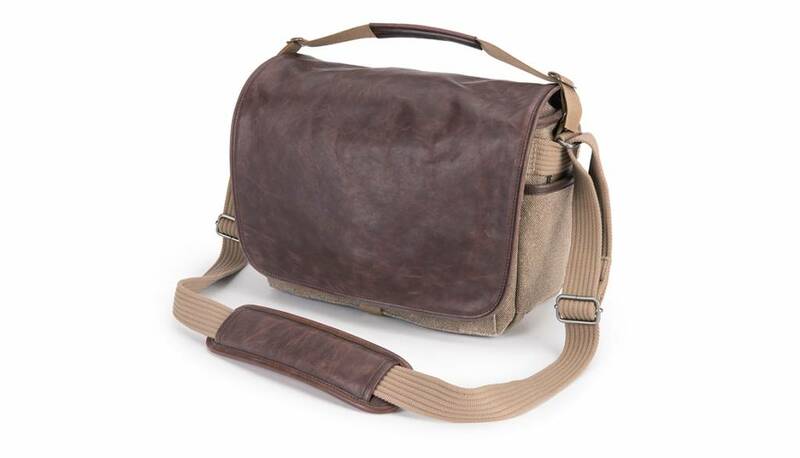 The sandstone with leather Retrospective 7 from Think Tank is a shooter's bag. With enough space for your standard camera with a 24-70mm f/2.8 attached and a 70-200mm f/2.8 by its side, you'll also have enough room left over for your flash and accessories. 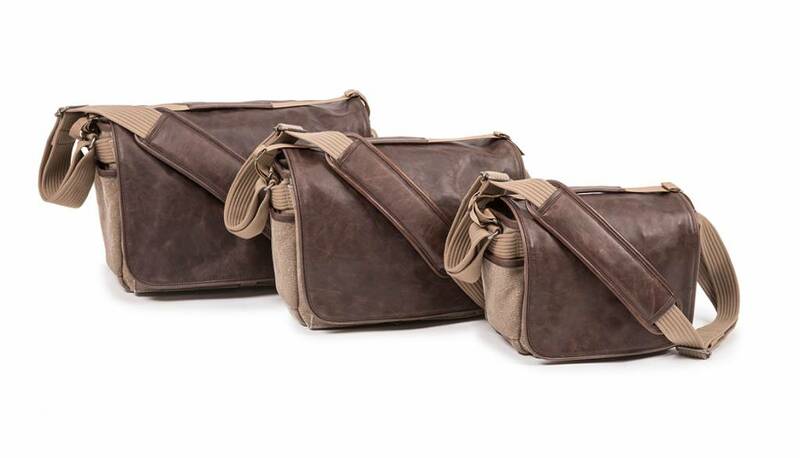 Plus, there's a rear pocket large enough for your 10" tablet or 11" MacBook Air. The internal dividers can be configured to accommodate the gear you need that day. 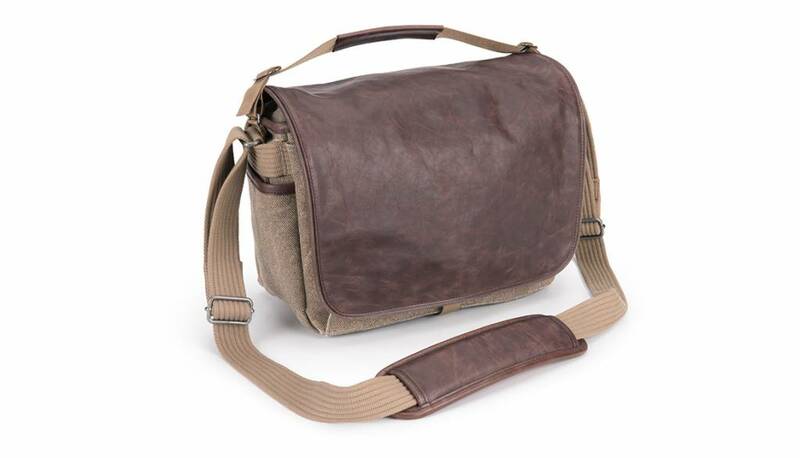 Inside, there are two hook and loop nylon pockets that can hold a flash or similar sized item. Outside, under the main flap is another pocket that can hold an additional camera body or accessories.